Sir Christopher Lee, the veteran actor and star of many of the world's biggest film franchises, has died aged 93. The English-born actor, who made his name playing Dracula and Frankenstein's monster in the Hammer horror films, appeared in more than 250 movies. He was best-known for his villainous roles - including Scaramanga in James Bond and evil wizard Saruman in The Lord of the Rings. The actor's other credits include The Wicker Man and Star Wars. The actor is reported to have died on Sunday at Chelsea and Westminster hospital in London, after being hospitalised for respiratory problems and heart failure. A Royal Borough of Kensington and Chelsea council spokesman said: "We can confirm that the Register Office issued a death certificate for Mr Christopher Lee on Monday 8 June, Mr Lee died on Sunday 7 June." He was knighted in 2009 for services to drama and charity and was awarded a Bafta fellowship in 2011. One of the first to pay tribute was James Bond actor Roger Moore, who tweeted:"It's terribly [sad] when you lose an old friend, and Christopher Lee was one of my oldest. We first met in 1948." 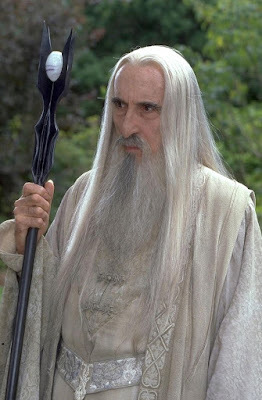 His Lord Of The Rings co-star Dominic Monaghan said: "So, so sorry to hear that Christopher Lee has passed away. He was a fascinating person." Sir Christopher also worked with director Tim Burton on five films including Sleepy Hollow (1999) and Charlie and the Chocolate Factory (2005). Burton described him as "an enormous inspiration". "The great, always criminally underrated Sir Christopher Lee has left us," actor and writer Mark Gatiss tweeted. "A Titan of Cinema and a huge part of my youth. Farewell." Actor Reece Shearsmith called him "an amazing gentleman who brought us so many iconic roles. He will be missed." Broadcaster Jonathan Ross said: "So sad to hear that Sir Christopher Lee has died. A great actor, a great star, a surprisingly good singer and a lovely, lovely man." Writer Neil Gaiman said he was "so lucky and proud" to have had Lee in the cast of BBC Radio 4's recent dramatisation of Neverwhere. "Great actor, great loss," he tweeted. 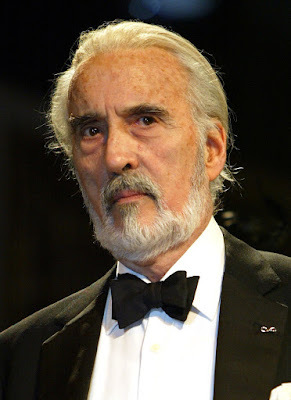 "We are deeply saddened to hear that Sir Christopher Lee has passed away," the British Film Institute (BFI) said.